Dr William Land AM RFD AE was a consultant dermatologist in private practice for 42 years. He was on the visiting staff of two Sydney teaching hospitals, Royal Prince Alfred and Concord Hospitals, as well as being a visiting specialist and board member of the Skin and Cancer Foundation Australia. He served as Censor-in-Chief of the Australasian College of Dermatologists (ACD) and was later President of the College (1997-1999) during the 19th World Congress of Dermatology held in Sydney in 1997. He was also appointed, in 1998, a Membre d’honneur étranger of the Société française de dermatologie et syphiligraphie. In 2005, he was appointed a Hon. Research Associate in the Department of French Studies, University of Sydney, working on the Baudin Project, for which he has translated the logbooks of five midshipmen from the expedition. His PhD dissertation was titled La dialectique d’aliénation et d’assimilation de deux écrivains juifs français: Julien Benda et André Suarès. 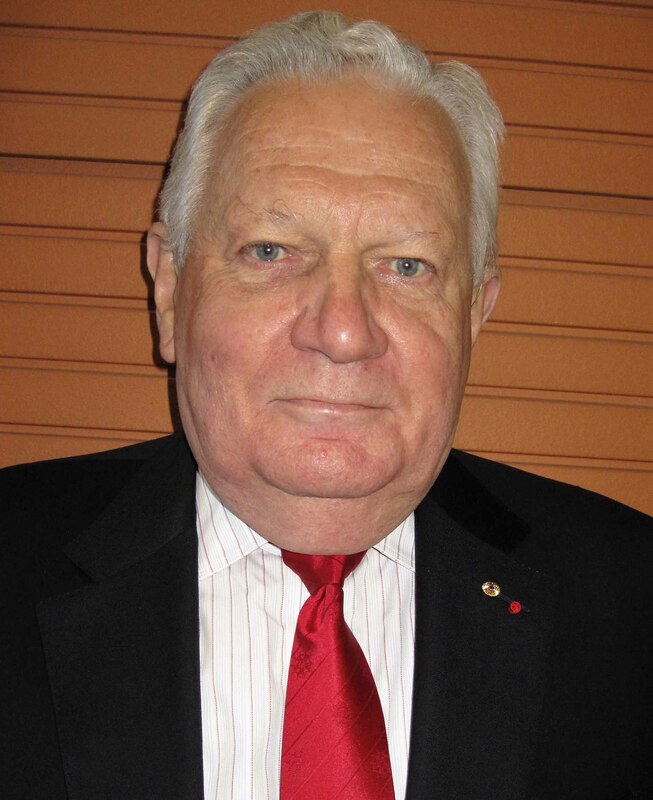 He was President of the “Friends of the Laperouse Museum, Inc.” (2008-2015). In The French Australian Review, No 58, Winter 2105, pp.67-77, he published a critique of a doctoral thesis from the University of Nantes, on the identity of the unknown mariner whose skeleton was found in Vanikoro; this critique was titled “Lapérouse and the Identity of the Skeleton of the Unknown Mariner of Vanikoro.” He has also translated some articles found in the “Journal de bord” published by the Association Lapérouse Albi‑France.